Secure SMS is a Messaging application which provides you a Secure SMS messaging service. 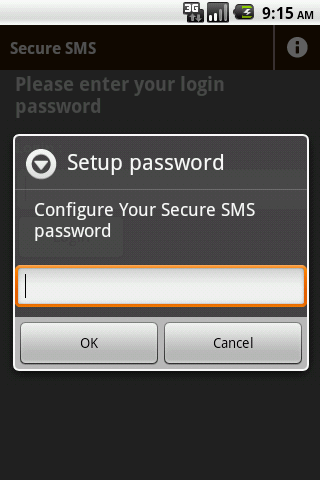 You can send and receive Secure SMS via this application. 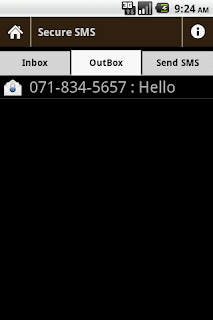 Messages can be sent to a person who has this Secure SMS app and to a person who does not has this app. User can configure application password when application opened in first time. 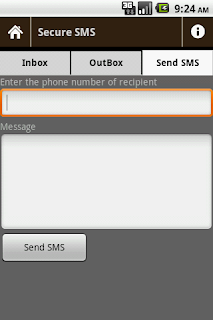 Inbox will show you, the Messages which received by you from Secure SMS application or from configured number. 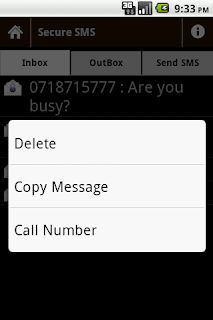 You can delete inbox message by Context Menu(To show a context menu on long click). 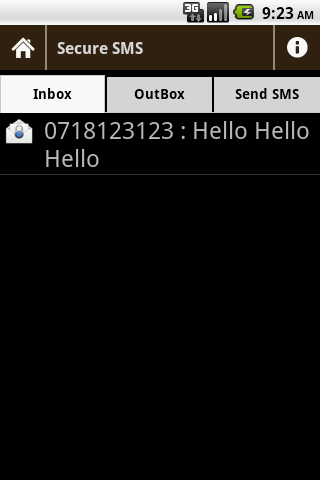 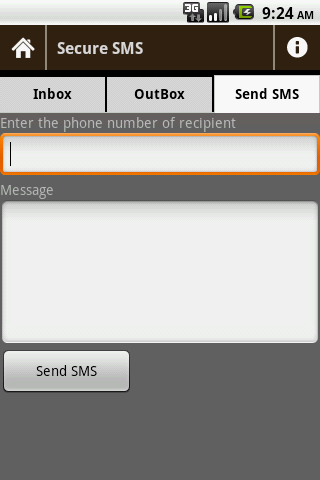 By clicking on each message you can view full message body, sender and sent time. Outbox will show you, the Messages which sent by you. 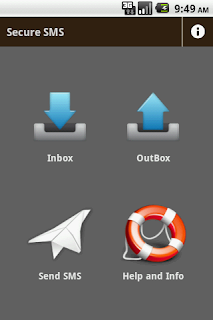 You can delete inbox message by Context Menu(To show a context menu on long click). By clicking on each message you can view full message body , receiver and sent time. 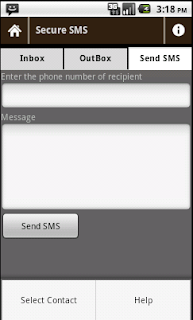 When you are sending a SMS you can directly type receiver's number or you can select from "Select Contact" menu. 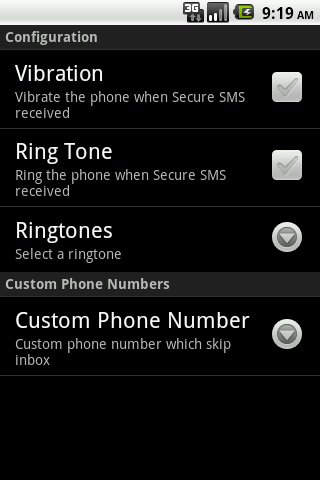 If receiver is your Non Secure SMS number then message send as normal SMS and it will skip you normal SMS conversations. Otherwise message will be send as Secured SMS. 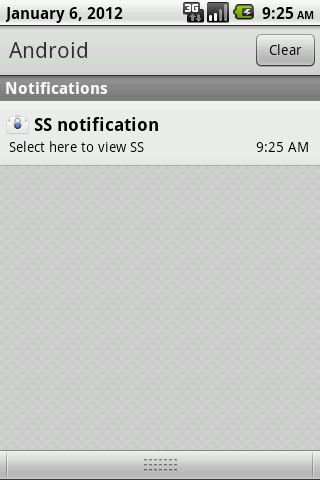 That message content will be encrypted and never be able to break it content. 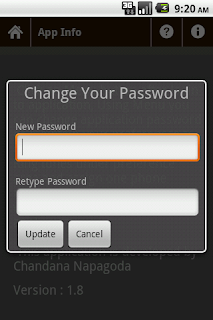 You can change your application password through help icon.Help icon will display in top right corner. 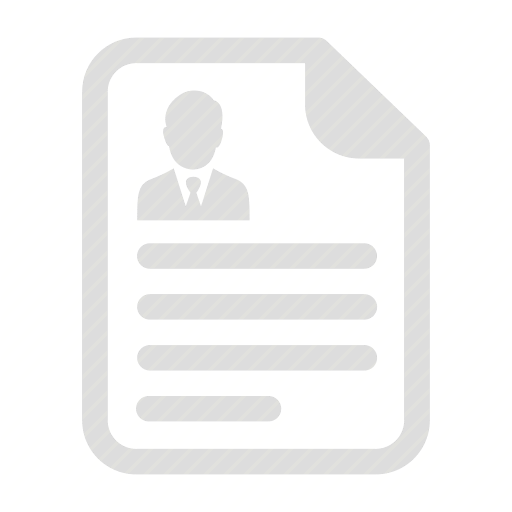 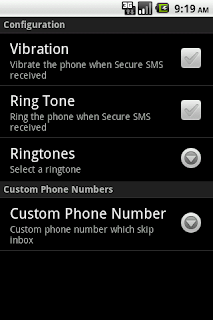 Click on preference menu for configure Application notification and add non Secure SMS number. 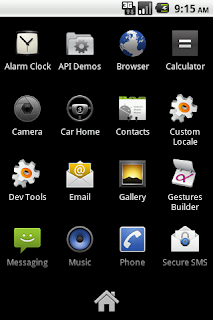 Great App Chandana. 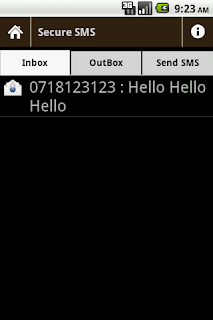 Is it possible to add more than one phone number to the list of secured numbers? - thx.